"YES. Snowboards is proud to announce an industry-first that’s long overdue. Beginning with the 2014/15 product line, all YES. 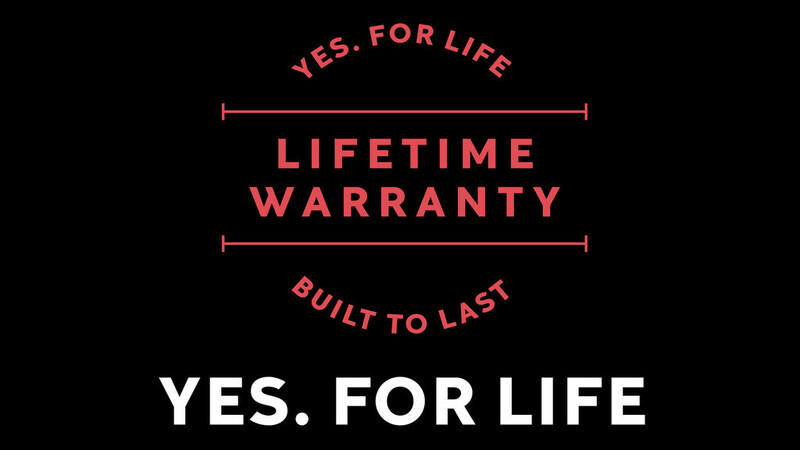 snowboards will be backed by a full, lifetime warranty. No, we haven’t uncovered a secret resin formula that makes our boards indestructible. And no, we haven’t cleverly re-worded the policy to avoid honouring a legitimate return. YES. For Life represents what the brand has been about since before it even started. It’s about trust. It represents the trust we have in our products, our manufacturing partners and our designs. It shares a commitment we have to the highest quality standards we strive for year after year. It represents the respect we have for the rider that lays down his or her own hard-earned cash on a product we believe in and are honoured that they chose. In the mountains, in the lineup, in life, wherever - we all know how good it feels when someone’s got your back. Well, relax. YES. has got your back." * Full terms and conditions can be found here. * Excluded: YES. Clark (due to the DIY nature of the board).